James Beard Award Winning Chef Hugo Ortega. Photo courtesy of HTown Restaurant Group. The James Beard Awards are an annual celebration of national culinary talent and achievement. 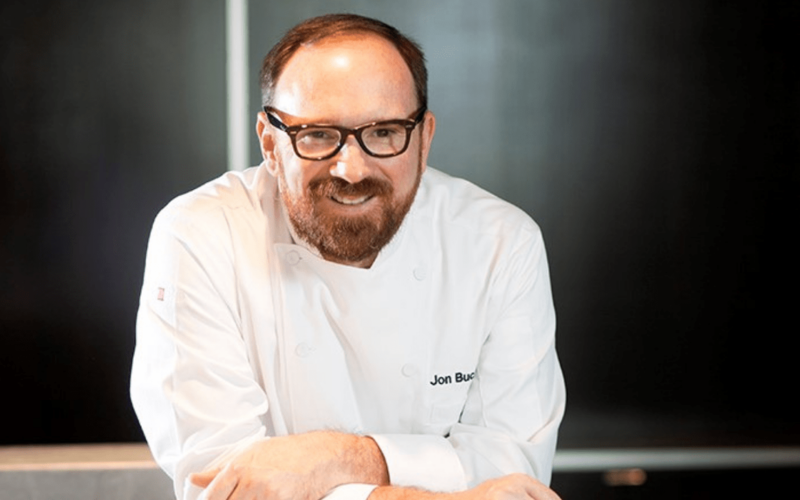 The James Beard Celebrity Chef Tour extends the magic by bringing award-winning chefs together to collaborate on special dinners across the United States. This year, Houston is one of 20 cities hosting this kind of special, star-studded dinner. It is on Thursday, October 11 at Third Coast, which is on the sixth floor of 6550 Bertner in the Texas Medical Center area. Third Coast executive chef Jon Buchanan is the host for the evening, which starts with a cocktail reception at 6 p.m. followed by a five-course seated dinner at 6:30 p.m. The featured James Beard-recognized chefs include local Best Chef Southwest winner Hugo Ortega of Backstreet Café, Hugo’s, Caracol and Xochi; Michael Mina of Bourbon Steak, PABU and International Smoke (with his executive chef Jeremy McMillan); James Beard-nominated executive chef Mike McKinney of Orsay in Jacksonville (with owner Jonathan Insetta); and multiple-time James Beard finalist and chef Kevin Gillespie of Gunshow, Gamechanger and Revival in Georgia. Houston diners are, of course, likely very familiar with Ortega’s restaurants and Mina recently opened an outpost of his International Smoke at CityCentre. As for the others, the tour dinner gives locals a rare chance to try dishes from award-winning chefs who are usually many miles away. The cocktail reception includes passed hors d’oeuvres like Rabbit Hot Dogs with chicken-fried sweetbread biscuit sliders and Chilapita de Langosta, a crispy masa bowl with chicatana powder-crusted lobster and chintextle (an Oaxacan-style smoked chili paste) aioli. For dinner, the dishes include intriguing selections like Buchanan’s frisée salad with roasted beets, truffled beet purée, Grana panna cotta and beet powder and Gillespie’s Apple Cider-lacquered Pork Loin, crispy boudin fritter, creamed collards, pickled crab apples. The James Beard Celebrity Chef Tour started in 2004 to bring a similar experience to dining at the famed James Beard House in New York City. The house was once home to Beard himself and is the headquarters for the foundation where it hosts events and dinners prepared by nationally acclaimed chefs throughout the year. 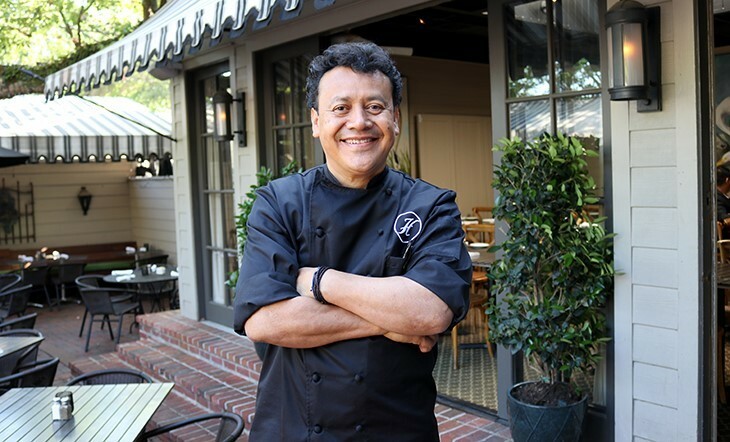 Ortega has cooked at the historic house on three separate occasions.